Whether you use your log cabin as a garden office, a weekend cottage, a holiday home for hot tub holidays, for your own recreation, or to rent it out, or you live permanently in such a residential log home, even with larger wall thicknesses of 70mm or more, and the excellent insulation coming from the timber itself, it would still be a good idea to have additional insulation installed, and a way of heating . Usage of a garage with carport for recreational purposes? We have covered the many benefits of a wooden garage with carport before. From the usage for two cars with the option to have a safe and dry room to lock up all accessories, bikes, tools, toys and garden furniture to the use for just one car plus a snooker or table tennis under the carport. A garage with carport under the same roof provides you quite a large building of at least 6×6 . 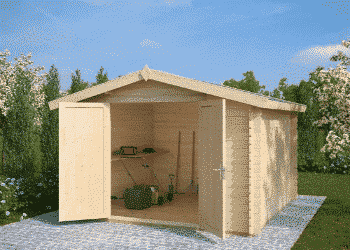 A typical garden shed, used as a tool shed or a garden storage shed will rest in winter and get functional again only when the weather invites into the garden, be it for relaxation, fun, or for active gardening of which, of course, all three purposes can be achieved by the same course of action. For the gardener, except for some early things to do, like for example, sowing tomatoes or peppers on the . 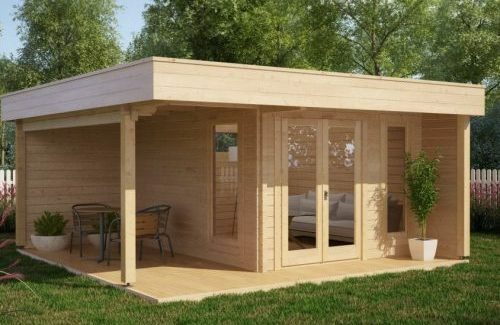 The Nora D with canopy is one of our bestselling garden rooms and can be built on a small plot in your back garden of just 3 x 6m. Self-installation of this garden log cabin is achievable for any competant DIYer and the whole cabin installation should not take more than a weekend. On the following customer photos there is a combination of a small garden guest house with BBQ canopy, which could be . The trend to working in a garden office, also shortly called “shed working” is still strong and increasing in the United Kingdom. With so many people becoming self-employed, with so many office jobs connected by the internet or by company owned networks, the good old office job – it seems – is getting more and more obsolete and fewer and fewer employees favour the daily commute to a working place at an office when . Garden log cabins are more popular in the UK as they have ever been. Probably due to their pleasant appearance that fits so well into the backdrop of the garden, their versatility and the huge supply of all possible styles, sizes, floor plans and designs by a number of professional manufacturers it is easily possible to find the perfect garden log cabin for whatever usage you may have in mind. If you need a . 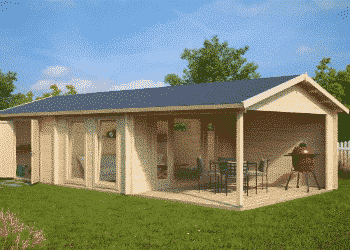 Exciting news… Our Garden Buildings and Log Cabins are now available in Spain! We have launched our operations in Spain and our garden rooms, sheds, garages, log cabins and other garden buildings are now available at casetasdejardin24.es. Our new online shop is available in three languages: Spanish, German and English. Spanish speaking customers are served by our Malaga based call center, while German speaking customers are served by Hansagarten24 office and English-speaking clients are served by our UK based Summerhouse24 staff. This means that all German and . Inhabitable log cabins are mostly associated with the idea of a rustic décor which is by itself seen as contradictory to contemporary designs with much of glass, concrete, metal and black and white minimalist design. One of the newest trends in interior design, however, features the idea that a rustic design can also be modern. It seems that it is not about one or the other but rather about combining different elements to achieve . If you have some woodworking tools in your garden shed, you could easily build one or many raised beds in your garden, in your backyard, or even in your front yard. They are also called “garden boxes”, and they are an excellent way for urbanites to grow their own veggies with limited space as well as for owners of bigger gardens who like one of their many other advantages. If you own a normal . After two days of building, we are at the half way point to finishing this medium sized two bedroom log cabin build. The Hansa Holiday C Log Cabin has 50 m2 of inner space and a handy 2 x 7 m veranda in front of the cabin for Alfresco dining or creating a nice outdoor sitting area. The cabin has two bedrooms, a bathroom, cooking corner, and large dining and living area. Five wall . Bespoke contemporary garden rooms from Summerhouse24 are a stunning extension of your home and garden. Crafted from selected and sturdy northern spruce, designed with a long experience, each piece has passed quality insurance and is kiln dried to 18% dryness to minimize settling movements after the assembly. 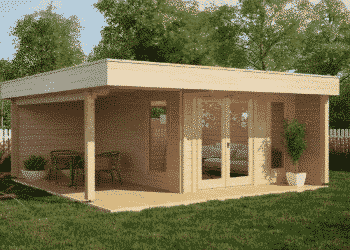 Our garden rooms offer a high quality-standard, longevity, sturdiness and aesthetics. We have selected some ideas of how to extend your garden room, how to customize . Garden sheds come in all possible shapes, designs or materials. A garden shed is typically a single-storey wooden house that is often in back gardens. Small structures will mostly serve storage purposes and larger ones can even be inhabited. In the following article we will give you an overview about everything you need to know about garden sheds in the UK including how to build one, prepare a foundation, insulate and heat your garden . Our Irish partner is in the process of building the largest log cabin display site in Ireland. By spring 2018 our Irish customers can view nearly twenty cabins of all different sizes, wall thickness, functions and features. 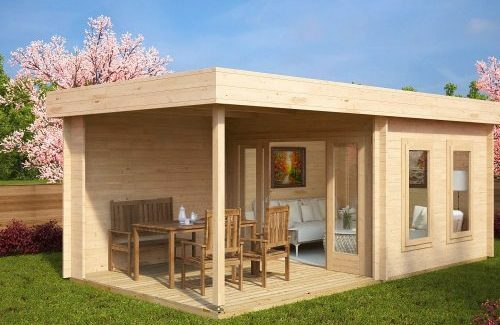 The Irish show site has on display different sized garden rooms, BBQ cabins, sheds, office buildings as well as one and two bedroom residential log cabins. By visiting our show site you will get a really good . Residential log cabins, though cheaply available and quickly built have basic costs, and one of these are costs for energy. Of course, they are dependent on the usage of the log cabin as well as the frequency of usage. If you have a log cabin in the garden as a guest room, a garden sauna, a workshop, if you have built a log cabin somewhere in a nice natural environment for hot tub holidays, . A garden office is a great way to create your own workspace in the inspiring background of your own garden, a way to make some room in your home if you had your workplace crammed in somewhere, or a good start for some self-employed work. The new global village is tightly connected and the need for daily commutes through heavy traffic to an office workplace becomes more and more obsolete. And who would not .